1. Ilayaraja is 100% right in law. The Copyright Act protects musical works and grants the composer the sole right to musical works, and if it has been registered, the Lyricist, rights in the lyrics of the song. And of course, the producer's rights in the sound recording. The difference in copyright law between a musical work and a sound recording is of paramount importance. 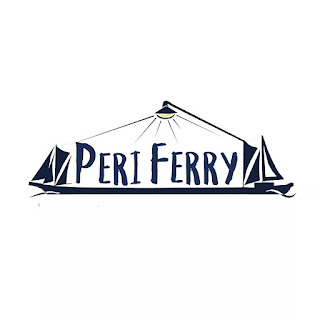 A musical work refers to the composition, the arrangements of instruments and lyrics too. The sound recording refers to the actual recording with singing, recordings of the artists, of the instruments mixed with the lyrics etc. So the division arises in a situation when for example a restaurant plays Mental Manadhil, without permission. They are actually violating 2 copyrights. One of the composer (AR Rahman) in the musical work and second, of the producer( here is where the divvying up comes into play) in the sound recording. 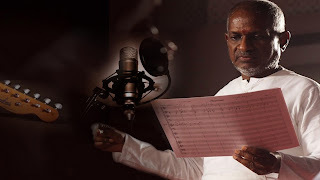 Here Ilayaraja argues that by singing the songs, it violated his musical work copyright (Obviously not the sound recording copyright). Legally what ilayaraja did is completely justified. 2. My grouse, however, and the grouse of many fans is on 2 accounts, primarily, the timing of the legal notice and second, the use of a legal notice as a means towards achieving these ends. I think something needs to be said for issuing a notice when you've already known that the concerts are going to take place. Further, SPB has said that had he sent him a mail or a call, the outcome might have become very different. Hypothetical, sure, but nonetheless justified. 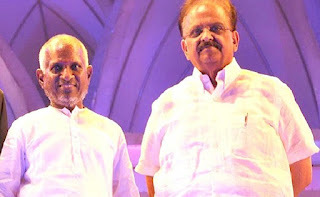 Second, anyone with knowledge of SPB and his history of venerating his Music directors know that he constantly performs musical tributes for his favorite musical directors. In fact, he's gone as far to say he wouldn't be the same without Ilayaraja. To interject something as cold as a legal notice when there's such an effusive feeling of warmth is malicious. Even in the absence of positive feelings between SPB and raja, the mode and means of doing it leave a lot to be said. 1. "AR Rahman has been doing for years now". Arguendo, if he has, the point once again isn't Ilayaraja asking for royalties. In fact, he went as far to say he would share the money he gets from royalties with producer, singers, and lyricists. ( For some reason he seems to believe that the sound recording right also exists in the tracks and therefore the lyricists, producers and singers will get paid. I disagree, however that is an argument for another time). It's the mode and method I disagree with. singers of concerts, and the amount doled out to orchestra musicians, technicians etc. If he is making lakhs, that's mostly because the problem is systemic. The day to day administration of IPRS and PPL shows how corrupt the system is from the top down, where performers never seem to be able to receive their proceeds from licenses, even after the 2012 amendment. While these singers are painted as pop culture icons, and that's how we see them, that's certainly not a depiction of their financial situation. The most famous example is of course how Ustad Bismillah Khan was piss poor and Kapil Sibal wrote him a cheque. This was a watershed moment for Indian Copyright law ( At least in my head). 3. "I have an idea da, Why does he even have to sing, what if the orchestra just played the music"? That would still be a violation of Ilayaraja's copyright over the Musical Work. 4. "Dai what about in these random events, and these marriages when people sing these songs, they can be sued too a?" Well, the question depends on whether the situation falls under one of the fair use principles enumerated in the Copyright Act, examples include performances not done for profit, or those for educational purposes. Arguendo, assuming that no fair use exception exists, most producers/composers do not have the time, and neither the inclination to sue random stray occurrences like these. That would be akin to committing PR harakiri that even Jerry McGuire and CJ Cregg would be unable to do. 5. "Wait a minute, then all Thyagaraja's and Dikshitar songs can't be sung by anyone, how are they allowing that?" Not true. Copyright lapses into the public domain ( Anyone is free to use it) after a period of 60 years after the death of the author. Given that Thyagaraja passed away in 1847, I would think the OS Aruns and Bombay Jayashris of the world don't have to fear a copyright infringement suit anytime soon. I think finally, there is something to be said about excessive protection of IP as a whole. (I for one disagree with a utilitarian justification for Intellectual Property). To ground it in reality: Imagine if every single time there was a cover of 'Why this Kolaveri di', money was owed to Anirudh, and the producers, and if not paid, the videos were taken down on Youtube. It might not be a far cry to say that the song wouldn't have been the viral sensation it was without covers. I'll leave this discussion at that. 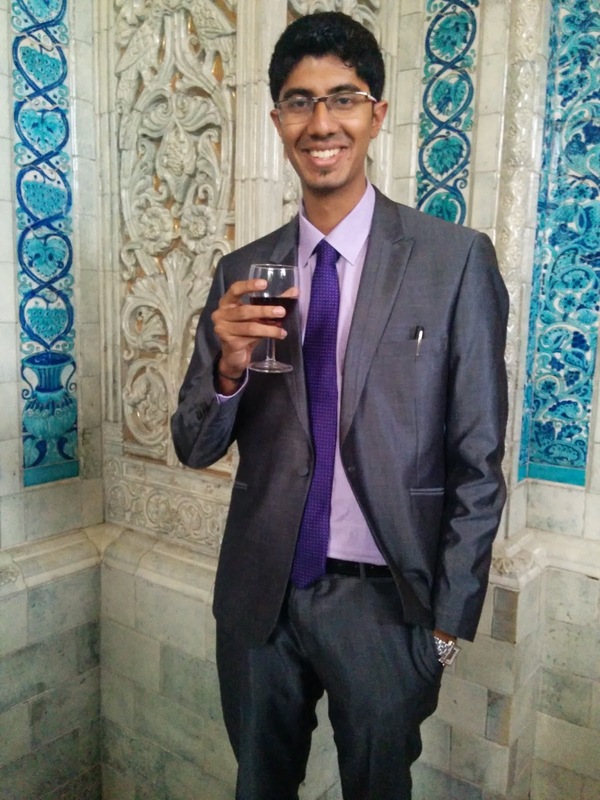 Harshavardhan Ganesan holds an LLM from the University of Law Berkeley and is a current Foreign Associate at a leading Law firm Washinton, US. 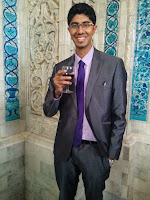 Harsha has been an avid debater, Munner, orator, actor and basically someone who loves the sound of his own voice and wants others to do the same as well.